[By Nick] Ahhh, it's been awhile since Arctic Zero has been on the site. Heck, I haven't tried a pint of this stuff since well before I wrote for On Second Scoop. They recently came out with a new line of five "chunky" pints. First off, I just love the irony in the name. Secondly though, I had no intentions of trying any of the flavors. Fool me once shame on you, fool me like 5 times, shame on me and my curiosity. That said, when I saw a pint of Buttery Pecan stocked at the Niskayuna Co-op, my curiosity took over once again. I have a problem and that problem is wanting to try every product on the market. Add the fact that it's butter pecan and there's no way I couldn't pick this one up. Wish me luck. To be positive, I do like the new package design Arctic Zero has. It's far more appealing to the eye. These chunky pints come in at 300 calories a pint which is double the original line. I'm not sure if this is a good or bad thing. Removing the lid, it looks like the same Arctic Zero I encountered years ago. It has the same circle crater or whatever you want to call it. You can see little pieces of pecans here and there which is a good sign at least. Scooping this one is a lot easier than I remember. Ahhh, time to take my first bite. Hmm, I can't say it's creamier than it used to be but it is a lot smoother. It still has a good amount of gumminess but it's not all that bad. I'm actually finding myself liking this one. It's not ice cream, froyo, gelato or any of that good stuff. It is in its own category for sure. It's definitely better than some vegan options I've had to say the least. The flavor is quite good as well. The maple flavor isn't too strong but noticeable and the pecans taste fresh which is very appreciated. It does taste a lot like a butter pecan with a hint of maple. My mind is having a hard time grasping what's happening here. I've been against all thing Arctic Zero for years yet here I am, enjoying a pint. This might be the most shocking review on 2015. I'm curious if all the chunky flavors are this good. Like I said, this is nothing like ice cream or any of those desserts. If you're looking for those, look elsewhere. If you're looking for something more diet friendly that isn't sacrificing too much, I have no problem recommending this one to you. Keep your expectations in check but I have a feeling a lot of people will be surprised by this one. Have you tried any of the chunky line? Let me know in the comments if I'm going insane and need to reevaluate my tastebuds or if you recommend any of the other new flavors as well. The Publix near me stocks one single flavor, maple. I'm somewhat tempted to try it just because it is such a unique flavor. The cookie dough arctic zero is awesome. I reach for it even when I'm "allowing" myself to splurge. The key lime, not so good. Very tart. 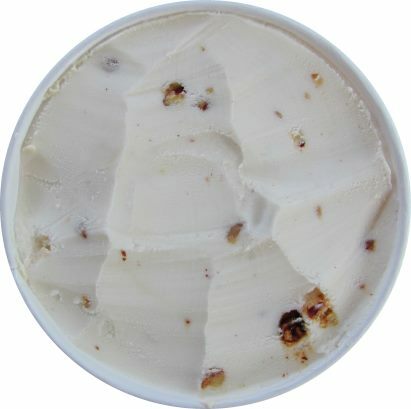 I liked the buttery pecan as well, and the mint chip isn't bad. 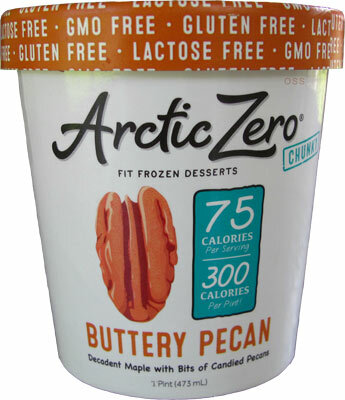 I've never had a good experience trying Arctic Zero desserts (I refuse to call it ice cream, haha). Have you tried Halo Top? THAT stuff is pure gold. They're also Arctic Zero's biggest competition. The maple is one of the original flavors and is pretty awful. Unless they've overhauled it as well, I would suggest skipping it! 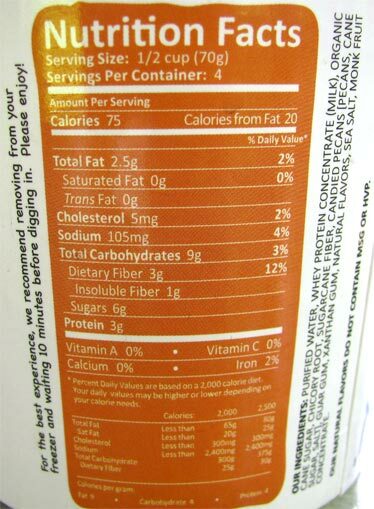 It was very watery and just tasted like a frozen protein drink. thank you for reviewing this. I've been curious about the new flavors but none are stocked in my small town grocery store. I am not surprised that this flavor is better, they've added actual sugar now. Calories are still much better than a regular pint of ice cream. Looking forward to reviews of the other new flavors! It's really cool of you for keeping an open mind by trying this flavor. Could you review the chocolate chip cookie dough one? I am shocked that you actually ended up liking an Arctic Zero flavor! I've got a pint of Cookie Dough Chip in my freezer that I haven't cracked open yet. I need to soon. The cookie dough is amazing. Also I do like the other flavors (especially Cookie Shake.. or the one that is supposed to be like oreo-flavor or something--although it tastes like coffee to me). I will say however that the salted caramel tastes fake to me; the rest are fine. Anon 1, I had the vanilla maple years ago. It wasn't necessarily bad but the texture was far from appealing. Hopefully they fixed that now. Anon 2, will keep my eyes out for the cookie dough then and not so much the key lime. NCGirl, I wonder if all the original ones I had were refrozen? Might be why the texture was better here. Liz, I have and reviewed the whole original line for the site. I also got sent the reformulated original line and a couple of new ones so keep an eye out for review/updates in the near future. Anon 3, no problem. Have to take one for the team every now and again. Stride, that's what makes us different than all the other sites. We keep an open mind with every product we try. No matter what our past experience has been. I'll eep an eye out for the cookie dough but I haven't seen it yet. Jessica, be sure to let me know what you think since everyone wants me to review it. Anon 4, thanks for the feedback on the cookie dough. Wasn't a fan of cookie shaje when it was originally their cookies and cream flavor to be honest. Looks like I'll be staying away from the salted caramel as well. @Nick - I'm almost willing to bet that you had the refrozen issue (almost :)). There's a marked difference between those that are re-frozen and those with the creamier texture. It's like the difference between eating ice milk and a decent low fat/sugar ice cream. That said, I've not eaten 'real' ice cream in 10 years! I love the line of Arctic Zero products. Are they premium ice cream? No, but they get the job done when you're watching your calories. I have tried the butter pecan and cookie dough chunky pints, but find that I still prefer the newer regular flavors; toasted coconut and salted caramel. This is great news. I've never heard of this product, and am definitely interested in looking into it further. NCGirl, 10 years? Oh man, I don't now if I'd survive 10 days without it aha. Jocelyn, yeah you really can't compare them to actual ice cream. TTB, let me know your thoughts when you get to try them. i actually used to eat the vanilla maple one quite often, but i always added my own mixins.. usually graham cracker. anyway, i tried this buttery pecan one and mine had WAY less pecan pieces in it - maybe i got a bum batch? i never repurchased it because of that, but maybe i will now after seeing yours. Tried the new chunky Brownie Blast Arctic Zero & was shocked at how much I liked it. Was it better than regular ice cream? Nope. It was at least good enough to eat when you feel like eating a whole pint of ice cream & not wasting a thousand calories. Next if I can find it I want to try the Snickerdoodle flavor. The new Snickerdoodle Dandy is terrible! There are next to no cookie bits and they are extremely tiny and tasteless. The base was super bland as well. 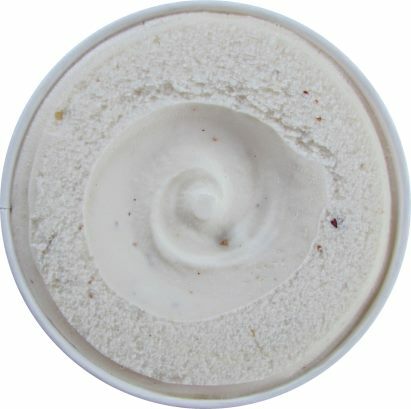 So Delicious cashew milk ice cream in Snickerdoodle is so much better in comparison. I tried to of these today (Butter Pecan and Cookie Dough) and they were absolutely HORRIBLE! As far as taste went, they reminded me of how horrific the fat-free potato chips of the 90s were.. absolutely vile! I'm wondering if you've tried other flavors since? I had the cookie dough and the base was just really bland, although the mix-ins were good. The brownie blast is better but the base is still not chocolatey enough for my taste. So yeah, I prefer Halo Top as well (and it's less calories too). I definitely wouldn't pay full price for this, but it's ok I guess in a pinch when you're in one of those 'want to eat a pint of ice cream' mood without going crazy on calories. Artic zero is horrible, very seriously horrible. Like a flavor apocalypse. Like losing all your money and your house in Vegas. Like bringing a shiny Apple just to find out you wicked step mom poisoned it... only worse, much, much worse.